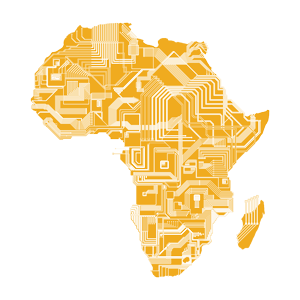 Digital technologies has enabled the digitization of African primary sources and cultural materials resulting in the growth of repositories and databases on Africa. What is the impact on access, teaching and scholarly research? What are the disruptions on African societies? African culture and history is transmitted broadly through language, material objects, rituals and institutions, which preserved are used to engage with the African past. Previously the materials were only available in archives, libraries, museums, privately owned, published or at times in precarious conditions in Africa, restricting access and visibility to users outside the country, region or institutions of origin. The emergence of digital technology has enabled the digitization of some collections and made available on the Internet, opening up local collections in transnational spaces and representation of Africa to wider audiences. These materials span a wide range of disciplines from the arts, humanities and social sciences, includes both written and unwritten sources like documents, artifacts, oral traditions, languages, textiles, sound recordings, posters, photographs and images. The increased accessibility has provided new sources for scholars of Africa. They are an invaluable resource for the study of Africa; providing insights into African culture, history and society, and their scholarly use often enriches research and enlivens classroom discussions. In addition to serving research needs of scholars the materials are very important pedagogical tools that could be used to engage students in contextualizing Africa. At the same time digitizing cultural heritage can create ethical challenges. We seek papers addressing curating, preservation, digitization, collaborative networks, teaching and research use, ethical issues and any disruptions on society. Africa through the photographer's lens; the Herskovits Library's Winterton and Duckworth photograph collections. Boundaries of gender: 'petticoat governments' and muted voices in David Livingstone's expeditions.